Our latest project opened today. 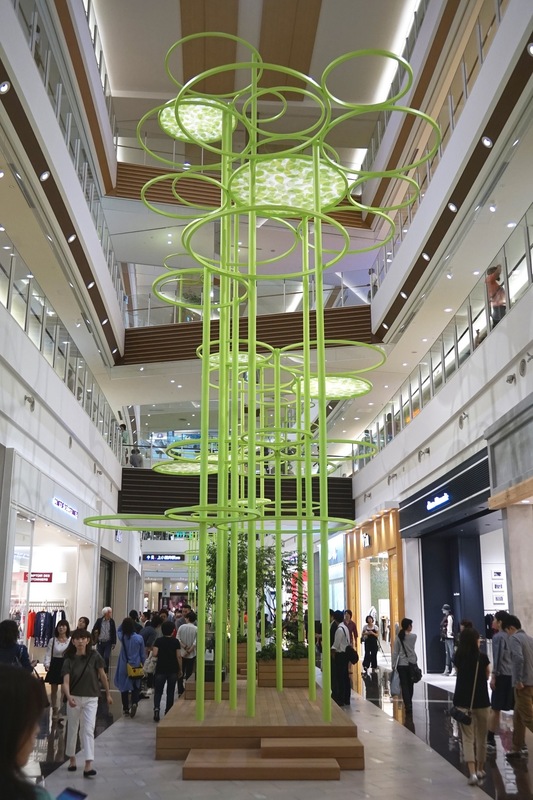 It is a 220m long grove of trees which runs through the main atriums of Japan's 5th largest shopping complex called 'Mozo' which is located near Nagoya. The project aims to give the atriums more character so they are not just long tall spaces surrounded by shop logos. The trees help drawing people through the spaces and give shoppers somewhere to sit and pause. The trees rise 15m and are made of only 100mm diameter steel tubes. Structural design in colaboration with Arup Japan. Look out for more images on our site soon!